The seas can never be too "ruff" with canine sailor friends like these! 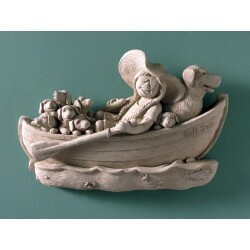 Pulling together to reach the shore, this plaque makes a great gift for your dog lover at the kennel or at home! Sorry, no PO boxes or express delivery. This item is exempt from all discounts. 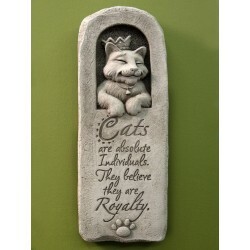 A statement no cat person can deny! 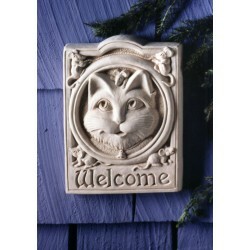 This plaque is the perfect gift for any cat lover. 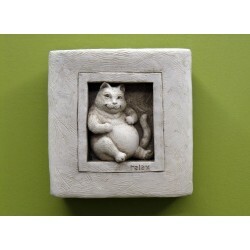 Hang inside or out.Verse reads: "Cats Are Absolute Individuals. They Believe They Are Royalty". Sorry, no PO boxes or express delivery. This item is exempt from all discounts. A little sculpture that says a lot. This cat seems to actually enjoy being around mice. 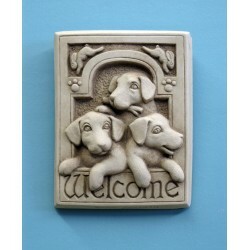 Complete with a tiny collar bell, this group is sure to make all guests feel welcome. Sorry, no PO boxes or express delivery. This item is exempt from all discounts.Sorry, no PO boxes or express delivery. Puppies capture the surprise and wonder of Christmas morning. 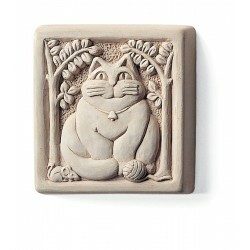 Place it on a nightstand or hang it outside near an entrance. Sorry, no PO boxes or express delivery. This item is exempt from all discounts. 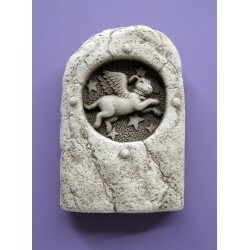 This dog flying along with wings on his back is often used as a pet memorial. 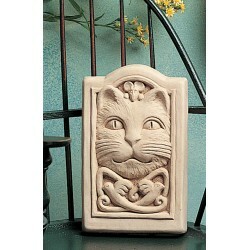 The rough stone sculptured look makes it a natural fit in the gardens. 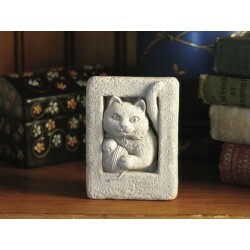 It can also work well as a bookend in a child's room. Sorry, no PO boxes or express shipping. Notice how the celtic pattern turns into flying birds. Within the confines of the border, there is room for a little mouse to peer over the cat's head. 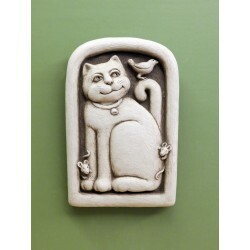 This would be a charming sculpture for a child's room. Sorry, no PO boxes or express delivery. This item is exempt from all discounts. 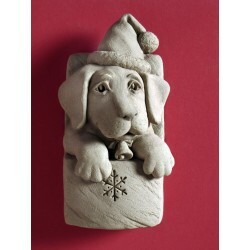 A perfect gift for dog lovers. This cuddly trio are ready to welcome your next guest. Notice the little paw prints and bunnies along the border. Sorry, no PO boxes or express delivery. This item is exempt from all discounts. Shhhh, you'll wake them. Nothing better than an afternoon nap with your best friend. 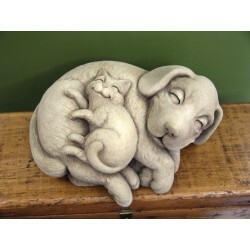 Display this dog and cat sculpture on the fireplace hearth or on a doorstep. You almost want to yawn just looking at them. Sorry, no PO boxes or express delivery. This item is exempt from all discounts.